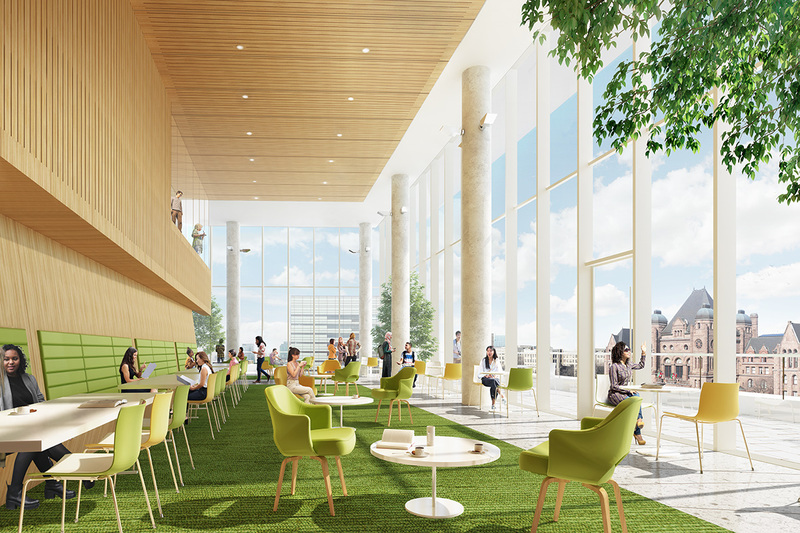 The new Schwartz Reisman Innovation Centre will turbocharge the next wave of Canadian innovation, advancing how AI, biomedicine and other disruptive technologies can enrich lives. 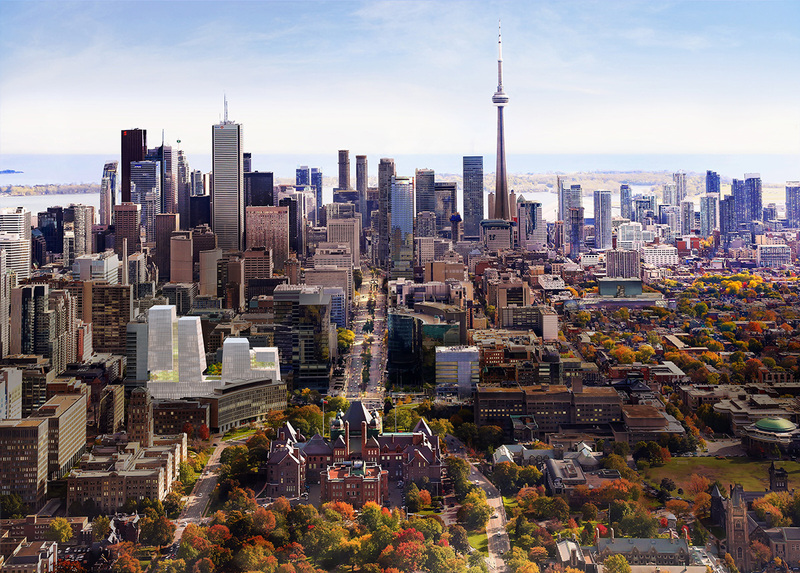 Thanks to a historic gift to the University of Toronto from Gerald Schwartz and Heather Reisman, the soon-to-be built Schwartz Reisman Innovation Centre will accelerate innovation in Toronto and Canada by creating the country’s largest university-based innovation node. The $100 million investment is the largest donation in U of T’s history and the largest gift ever to the Canadian innovation sector. 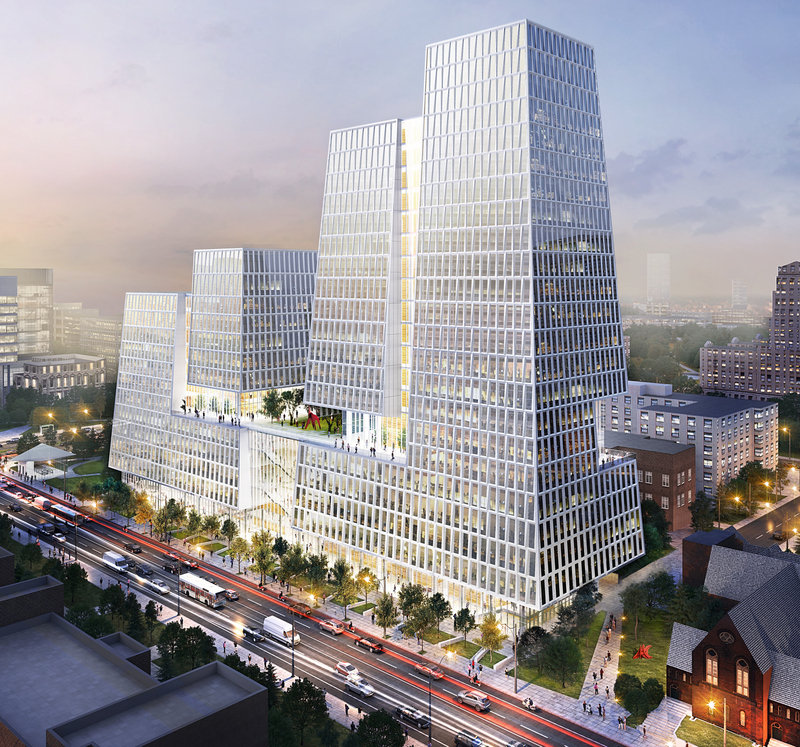 The gift will help construct a 750,000-square foot complex designed to anchor U of T’s unique cluster of world-leading artificial intelligence scientists and biomedical experts, its world-class entrepreneurship network, and the country’s largest concentration of student- and faculty-led startups. Gerry and Heather are also among the country’s most generous philanthropists. They have long supported institutions and causes across the country, particularly in the areas of literacy, education, health care and advanced research. Their previous gifts to the University of Toronto have made an immense difference to students, researchers and programs in several faculties. Both have had a long relationship with the University, having served as advisors for numerous strategic initiatives. This $100 million gift, made through The Gerald Schwartz & Heather Reisman Foundation, was inspired by their belief in the importance of research-based innovation as a driver of economic and social prosperity and their keen interest in the interdisciplinary exploration of how innovative technologies such as AI and regenerative medicine affect societies and individuals. The Centre will be constructed in two phases. The first phase will be a 250,000-square foot 12-storey tower, while the second phase will be a 500,000- square foot 20-storey tower. The Schwartz Reisman Institute for Technology and Society will also mount a steady calendar of activities—including a major international conference, high-profile speaker events and various workshops and seminars—to share its knowledge and insights with academia, industry, entrepreneurs, policymakers and the broader public. “The Schwartz Reisman Innovation Centre will help U of T faculty and student entrepreneurs reimagine industries and contribute to Canada’s social and economic success,” says Vivek Goel, Vice President Research and Innovation. 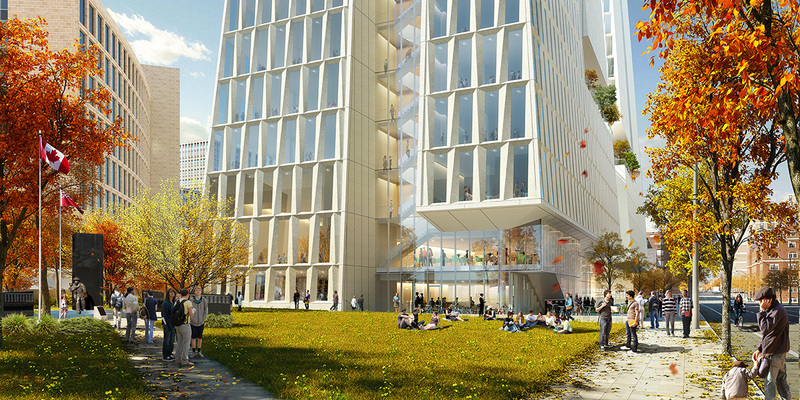 All architectural renderings provided by WEISS/MANFREDI.